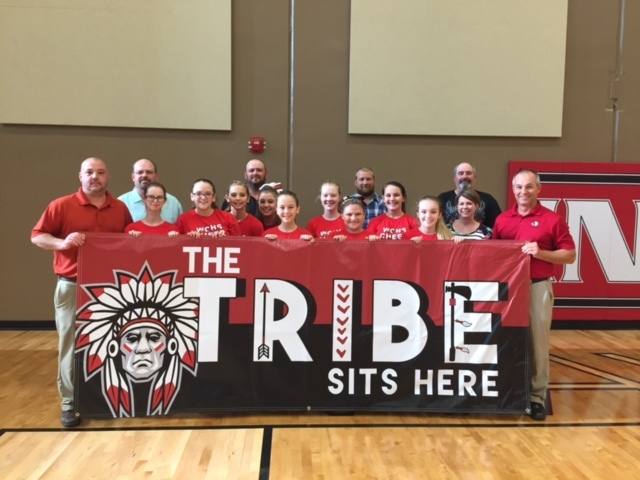 July 20 the cheerleaders presented the banner to the school board. The Wayne County Press came and snapped a photo of the cheerleaders holding the banner along with the board members. Both coaches are really hoping that this banner will bring in more supporters and more crowd involvement. All in all, the cheerleaders and coaches feel they have worked extremely hard this summer and are ready to take the floor with the new pep club banner flying high over students in the bleachers.